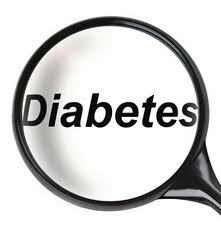 Diagnosing diabetes in its early stages can be the first step in dissuading the disease from entering your life. Get tested, Doctors order blood tests to measure the milligrams of glucose per deciliter of blood. A normal non-diabetics glucose levels should be under 100 mg/dl during fasting. Now if yours is higher in the 125+ range I’d start striving towards losing weight and for a lifestyle change before your physician tells you, you’re diabetic!!! Another test, the test I have had three times is the (OGTT) known as the Oral Glucose Tolerance Test. Again you’ll need to fast over one night, and you’ll need to visit your doctor’s office for this test. You drink a syrupy orange concoction that tastes much like those Fleet laxative drinks. After 2 hours your blood sugar level is taken. What’s thought to be normal is 140 mg/dl or less. The physician dubs you diabetic if after the 2 hours you have a reading of 200 + mg/dl. You are now joining the not so exclusive club known as the diabetic-like-it-or-not club!!! Evidently the pancreas won’t spit out the needed insulin which assists glucose in entering the cell so most of it remains in the blood where the poor kidneys have to deal with eliminating the excess. That’s why one of the warning signs for diabetes is frequent urination. Even though, I have never had, going to the bathroom frequently as a symptom of my diabetic problem. My only symptoms are: headaches, nausea, and the sensation of wanting to vomit! The intermediate condition known as pre-diabetes is correlated to FPG’s of mid-range of 100 to 125 mg/dl. This stage will usually have an OGTT score of between 140-200 mg/dl AKA as Impaired Glucose Tolerance. With slightly higher than normal blood glucose levels reversal is a 75% or better prospect of never developing diabetes.... with only moderate alterations in your diet!! 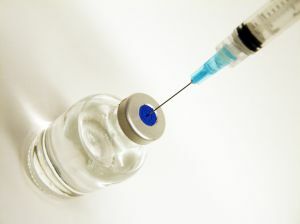 While in this phase you are beginning to lose the necessary amount of insulin for normal uptake in the cells. And if you procrastinate changing your eating and exercise habits you will be up S____ Creek without a boat or a paddle!! Fasting blood sugar levels ranging from 100-110 mg/dl have a 20% chance of going straight to the real thing. As the mg/dl goes up so does the percentage. If the FPG is over 110 mg/dl the chances double to 40%!!! Already as a pre-diabetic your chances of having heart complications is 1 ½ times higher than normal blood sugar levels.